Former MLB OF Andy Van Slyke played on four teams during his 13-season career. His best years were with the Pirates and Cardinals. Van Slyke was a three-time All-Star and five-time Gold Glove winner. These days, Van Slyke is the first base coach for the Seattle Mariners. 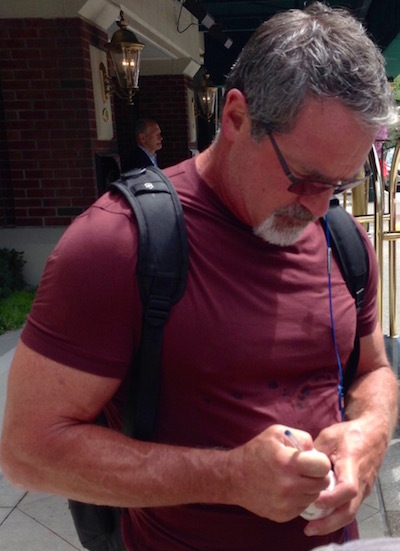 Recently, iFolloSports.com Michigan based correspondent Lance Martinez captured the above original photo of Van Slyke signing autographs on a recent Mariners trip to Detroit. Mariners fans can also view recent original stories featuring Robinson Cano and Austin Jackson signing on the same visit to Motown.